Your username is your unique identifier, and as such, it is used to track your account and keep it in sync with the services used to maintain your account. To change your username, simply visit your Account Settings page. On this page, you will be able to click on the Username edit button. You will then be prompted to enter your current password and the new username you would like to use. Next, click 'Save Username'. 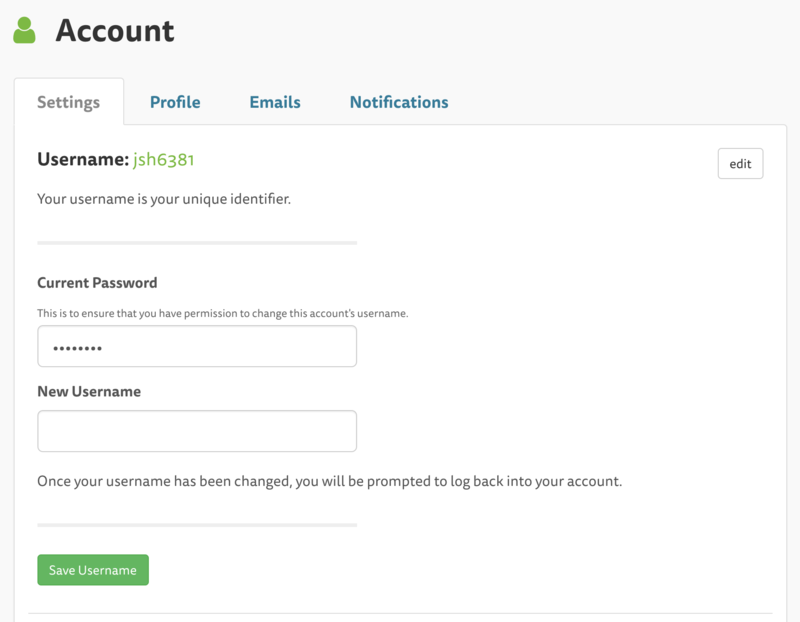 Once your username has been changed, you will be prompted to log back into your account.